Made proudly in the U.S.A. Propeller performance guaranteed to make you smile! I have a very large custom boat and run deep-deep mud. The Big Blade gets me on step in a few feet. I go through lots of propellers running rocky rivers and the Hammer is one tough blade. It is a race to my blind every morning and the Big Blade makes my boat scoot. MAXIMUM PERFORMANCE REQUIRES THE RIGHT PROPELLER. Discover an exciting new level of performance. Pair a Mud Buddy motor with a propeller that’s engineered specifically to harness its power. 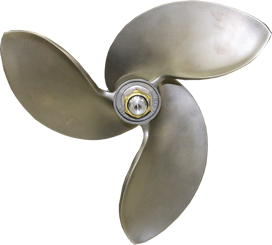 Each propeller is designed by our engineers using proprietary information, manufactured to Mud Bawdy's stringent standards for quality and tested for performance. Nothing will enhance your mud motor's acceleration, top-end speed, handling and fuel efficiency quite like this. Without a doubt, the best propeller you will ever own. Great hole shots, unmatched speed and good in mud. Works on all motors and the most popular and best selling propeller of all time. For all conditions and the best mudding prop you will ever run. This propeller is best know for running large boats and loads. Subscribe to our newsletter, contests, etc. Copyright 2018. Mud Buddy. All Rights Reserved.